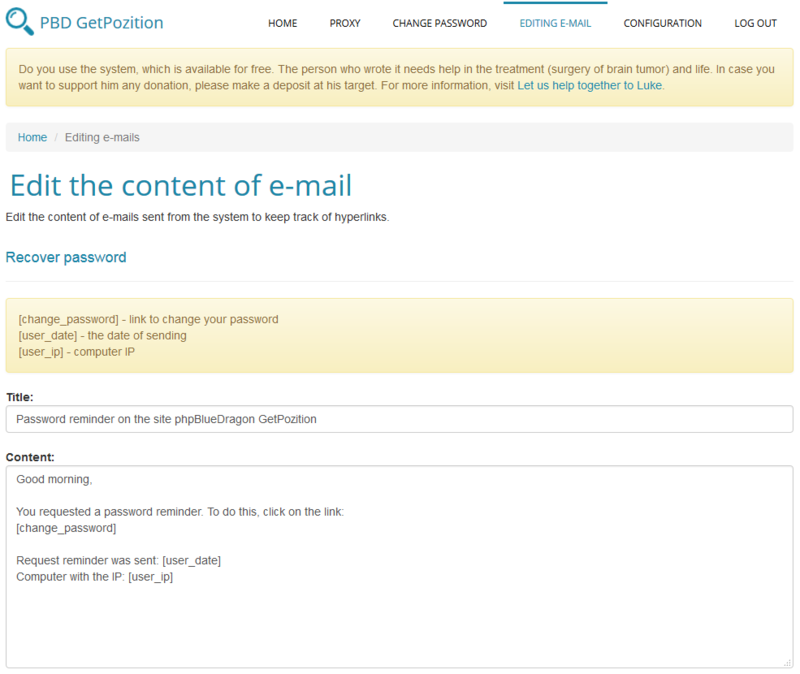 The system provides the ability to change the content of e-mails sent to us when, for example, the password recall. In order to edit them, click on the top menu Editing E-mail. The website has a form in which the Title, enter the title of the message and the Content of its content. There are also special tags listed on a yellow background. They will be swapped with the system data. When you finish editing then click the button Update the content of e-mails.